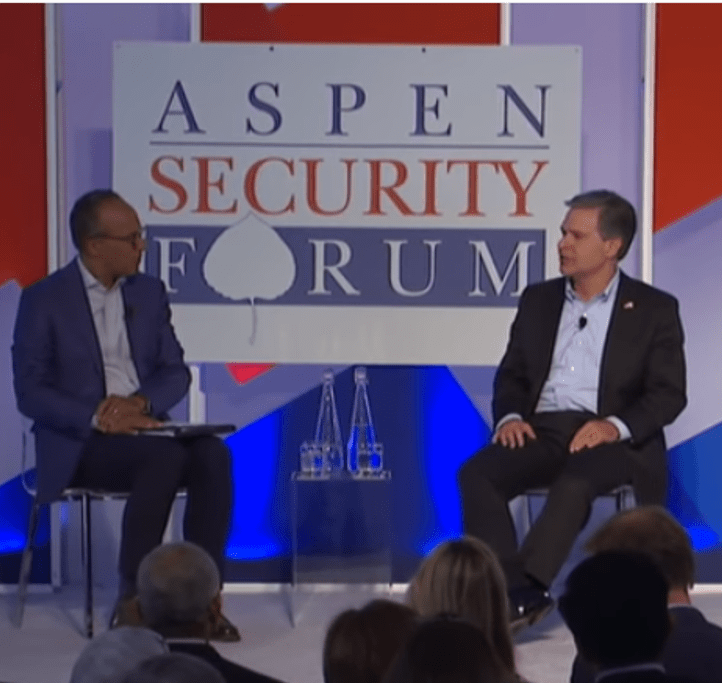 At the Aspen Security Forum this week, FBI Director Christopher Wray characterized China “from a counterintelligence perspective” as representing “in many ways” the “broadest, most challenging, most significant threat we face as a country.” This led me to ask him about his concerns regarding academia. Charlie Dunlap: Thank you very much for coming to the conference and speaking so candidly. Charlie Dunlap from Duke University. You mentioned academia as being one of the areas that’s under threat by the Chinese. Some universities have campuses, including Duke, in China. What should the universities be doing to protect against this threat? Do you have any suggestions or ideas? And it’s a challenge, right? We have an open, collaborative research environment which is one of the strengths of this country, but people need to do it with their eyes open and really think carefully about what they’re getting into. As we like to say on Lawfire®, check the facts, assess the law, and decide for yourself!